Democratic Sen. Robert Menendez (N.J.) has created a special fund to pay his legal bills from an ongoing Justice Department criminal probe into his dealings with a Florida doctor and financial supporter. Menendez has not been charged with any wrongdoing at this point. Menendez, chairman of the Senate Foreign Relations Committee, has paid out more than $400,000 to two law firms, his latest campaign disclosure forms show. He faces both Justice Department and Senate Ethics Committee investigations. But the New Jersey Democrat also paid an additional $11,250 to Dr. Salomon Melgen for a 2011 flight on Melgen’s private plane. Menendez already reimbursed Melgen $58,000 for two unreported flights back in Jan. 2013 as the scandal over his relationship with Melgen began to unfold. Melgen and his family have donated hundreds of thousands of dollars to Menendez and other Democrats during the past 15 years, federal campaign disclosure records show. Melgen also gave $700,000 in 2012 to a Democratic super PAC that spent heavily in support of Menendez’s reelection campaign. Menendez reportedly intervened with federal officials on behalf of Melgen, who was being investigated for reportedly overbilling Medicare by $9 million for eye treatments. WNBC in New York City reported that the FBI is also looking into Menendez’s dealings with two fugitive Ecuadorean bankers. Citing anonymous sources, WNBC said Menendez contacted the Department of Homeland Security and the State Department on behalf of William and Roberto Isaias Dassum. The brothers are fighting extradition to Ecuador over charges that they allegedly embezzled tens of millions of dollars from the country’s largest bank before it failed and had to be rescued by the Ecuadorean government. 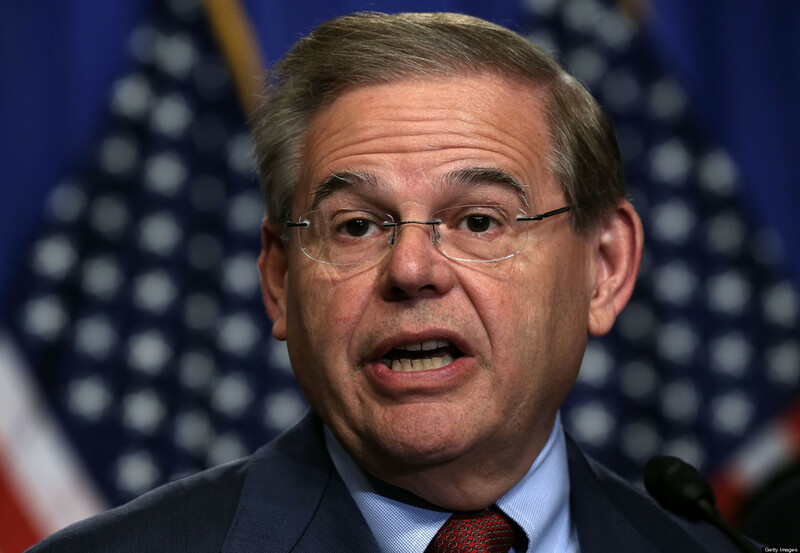 WNBC said family members of the fugitives donated $10,000 to Menendez’s 2012 reelection campaign, as well as $100,000 to the Democratic Party. Menendez dismissed the reports as part of a GOP-led “smear campaign” against him, yet his ongoing legal problems have become costly for the New Jersey Democrats, both financially and politically.